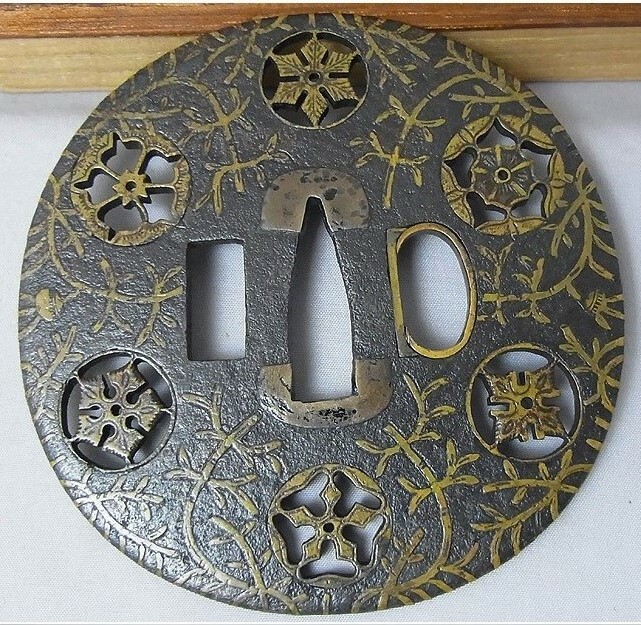 "A maru-gata and maru mimi tsuba of well forged iron plate with six roundels - circular emblems of flowers and/or family crests (mon) made of cast brass, pierced and chiseled in kebori, and with flat brass inlay (hira-zogan) of bamboo stems. 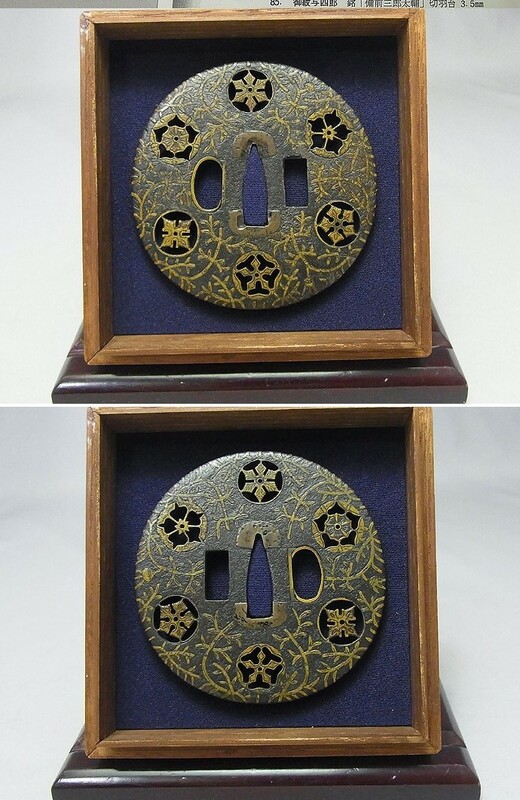 This inlay style is Kaga Yoshiro zogan where the brass is inlaid into channels and then filed back to be flush with the surface of the iron plate. All inlay is present with the exception of four very small pieces. The rectangular hitsu-ana is original as is the kozuka-ana that is outlined in brass. Note the thickness of the sekegane in nakago-ana. There are six different kamon in all on both sides. 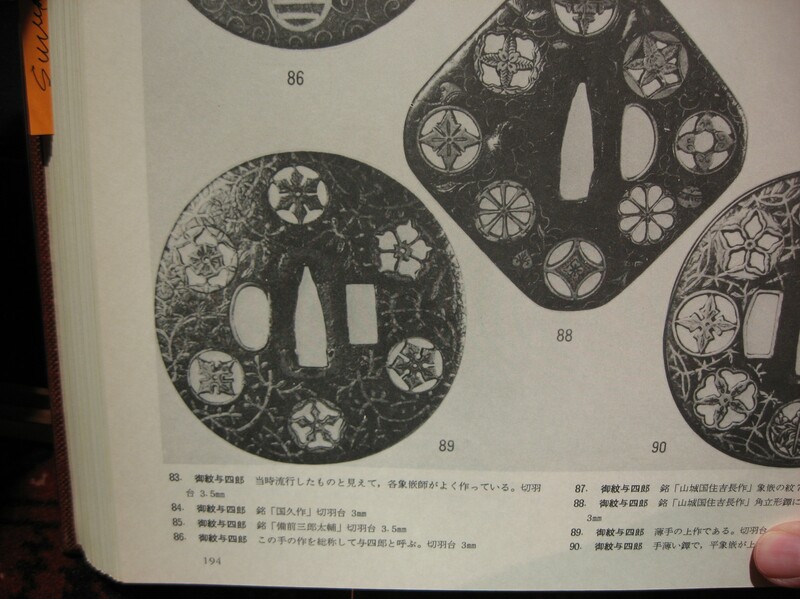 All kamon are in sukashi, which are obviously visible on both sides, are of various daimyo families. 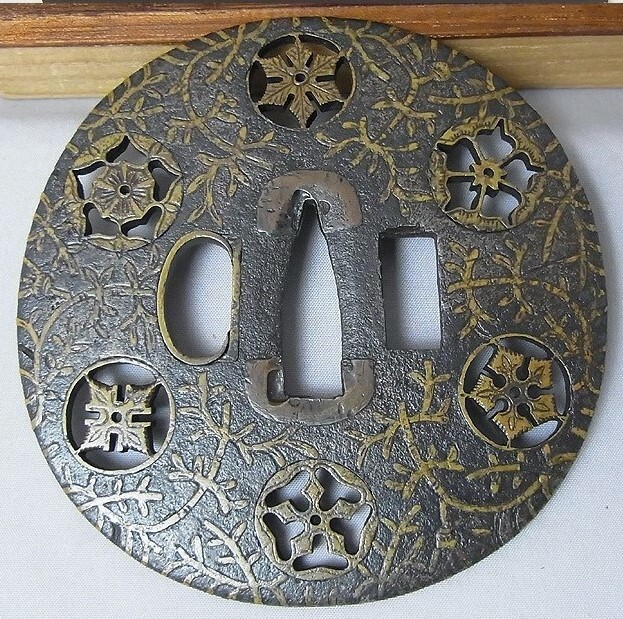 These sukashi sections that are inlaid into the plate are refered to as ranma-bori because they have the appearance of the ranma (transom panels with openwork carving) that are seen in Japanese temples and other important buildings above walls and doorways. 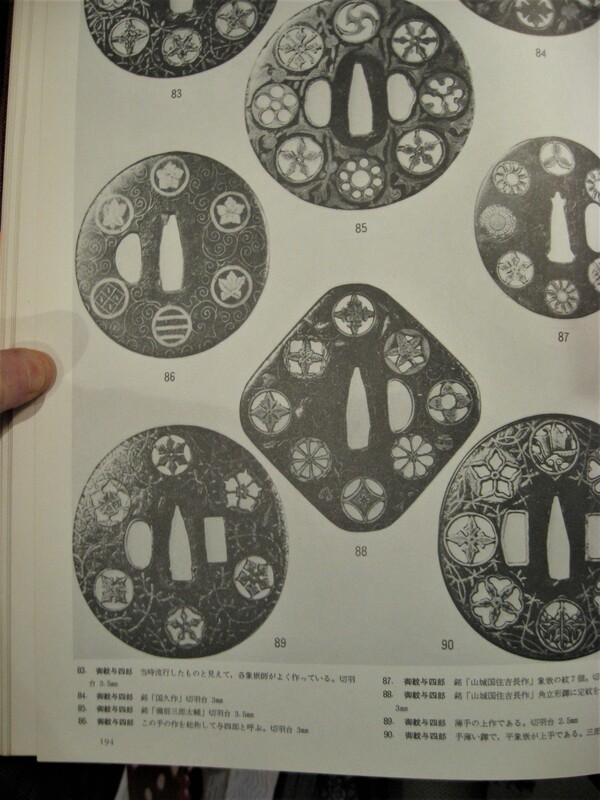 Traditionally the Yoshiro school (Kaga-Yoshiro) produced tsuba decorated in silver, brass, and shakudo hira-zogan. It was Koike Yoshiro Naomasa, active ca. 1625-1650, who took the technique and style to the highest level. 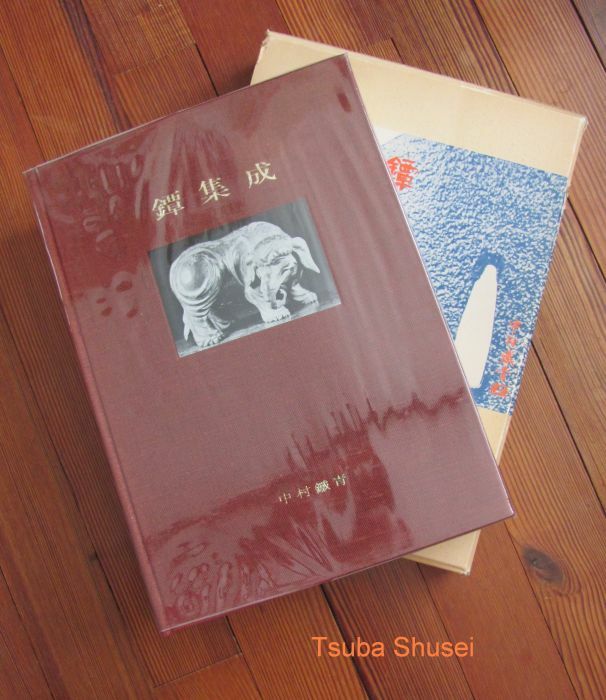 This piece published in 'TSUBA SHUSEI' by Nakamura, 1963.